Posted in UncategorizedLeave a Comment on An All Purpose Travel Mug For All Seasons? Looking good for spring break in Miami. As we have established time and time again; Beachbody really does think of everything! Beachbody products help us to achieve our fitness goals through amazing exercise programs, supplements, and support. One of the things that every Beachbody workout program has in common is the concept of rest or recovery days built right into the program. Most of us in the fitness world know that getting enough rest after exercise is essential to a high level of performance. However, we are still much more apt to over train and even feel guilty when we take a day off. So although we know that our bodies repair and strengthen in the time between workouts; we some times over look this and continue to push ourselves even when we are fatigued. This in turn can weaken even the strongest athletes. Rest days are critically important to a healthy fitness journey for a number of reasons. Physically, rest days are necessary so that our muscles can repair, rebuild, and strengthen. Psychologically, rest days help us to find balance between home, work, and fitness goals. Too much training and not enough rest can potentially lead to overtraining syndrome. Overtraining syndrome is more often seen in athletes who are training for competition or a specific event and train beyond the body’s ability to recovery. Conditioning requires you to find a balance between overload and recovery. Too much overload and/or too little recovery may result in both physical and psychological symptoms of overtraining syndrome. Beachbody trainers design their fitness programs incorporating recovery time into the schedule. This is because the Beachbody trainers know that building recovery time into any training program is important; as this is the time that the body will adapt to the stress of exercise. Many of the Beachbody products available push us to our fitness limits. Therefore as we work hard we have to remember to rest hard. The time of rest allows our bodies to replenish energy stores and repair damaged tissues. Without sufficient time to repair and replenish, the body will continue to breakdown from intensive exercise. Symptoms of overtraining often occur from a lack of recovery time. Signs of overtraining include a feeling of general malaise, staleness, depression, decreased sports performance and increased risk of injury. As I have mentioned in other posts, right now I am in the last phase of P90X2. 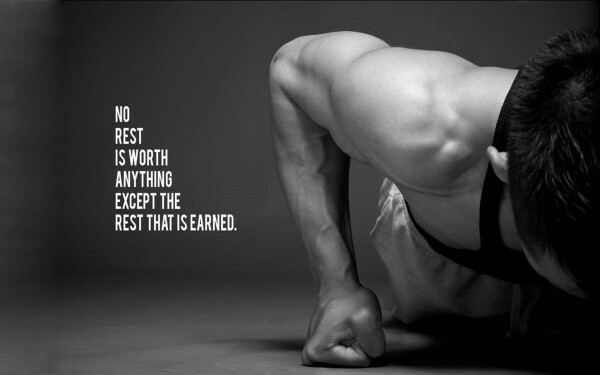 When Tony Horton created P90X2 he actually included two rest days. This is because we are pushing ourselves so hard the other days of the week that we need to spend two days during the week recovering. Now, in P90X2 you can either take the day off or you could complete the X2 Recovery and Mobility routine. I would strongly encourage that you get yourself a Rumble roller (or cactus roller as Tony so affectionately calls it) and complete the routine.